I found myself wandering around McMenamins Edgefield (just outside Portland in Troutdale, Oregon) with some free time before a wedding ceremony, so I went exploring. I love the way the confluence of additions and annexes to buildings wind up producing these strange internal spaces; they do a lot to magnify the mystery of an already mysterious place. That place is super interesting and your photo captures some of that. Every piece of the grounds has a story to tell. I’ll have to put up more of my McMenamins shots. 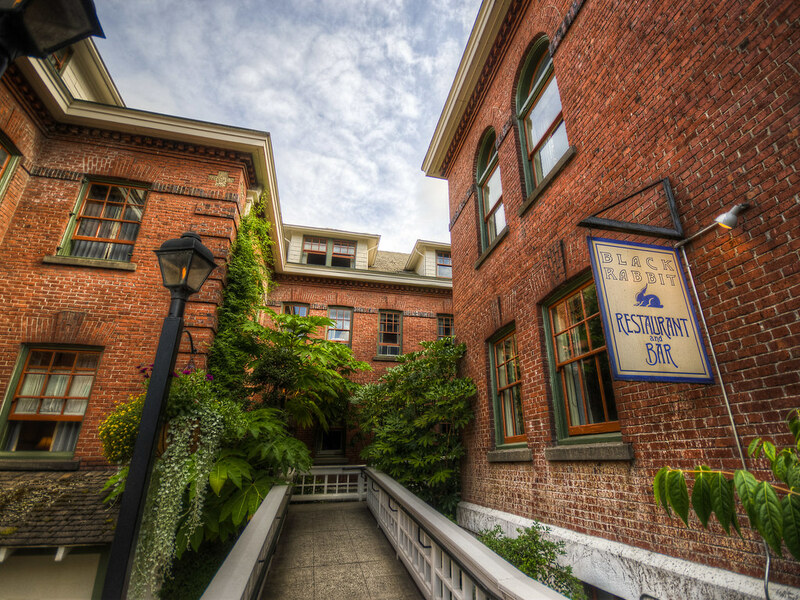 Edgefield is so varied that they look as though they could come from completely different places. Looks really interesting. The architecture and the nature are stunning as well. Oregon seems like a particularly good place for that combination!